You read this first here. Please like Durian Runtuh Facebook page and follow Harga Runtuh Twitter to receive more Grab promo code & latest Uber free rides discount offers! Let’s go to AEON MALL GREAT FRIDAY Fiesta! Just Hop on and off your GRAB ride to and from any AEON MALL, hassle free! 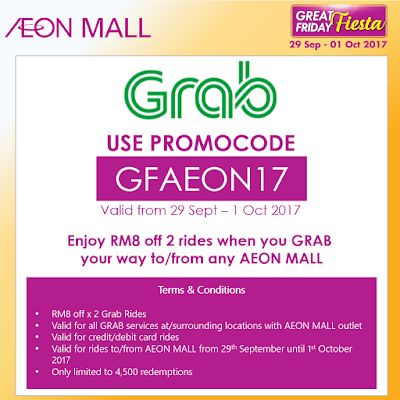 Use Grab promo code GFAEON17 to enjoy RM8 off 2 rides. 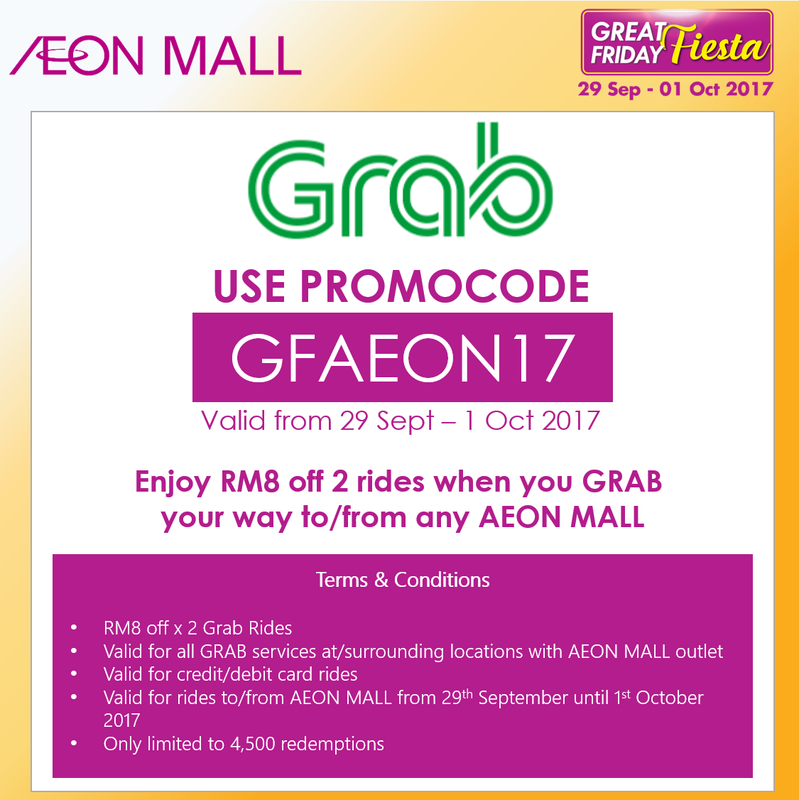 Promo Usage: Valid for rides to / from Selected AEON Mall in Malaysia. Valid for GrabPay & Cash payment method. The promotion discount is only successfully redeemed once a relevant in-app and / or SMS message is received (after successfully being allocated a car by the system).